President Muhammadu Buhari has once again reacted to the calls for restructuring which dominated the political scene in 2017. In his latest reaction to the issue during his New Year Broadcast on Monday morning, the President insisted that restructuring was not the most pressing issue in Nigeria because the country’s problems have more to do with process. “In respect of political developments, I have kept a close watch on the on-going debate about “Restructuring”. No human law or edifice is perfect. Whatever structure we develop must periodically be perfected according to changing circumstances and the country’s socio-economic developments,” President Buhari said. Despite calls for restructuring from different parts of the country, the Federal Government has maintained that fighting corruption, insecurity and strengthening the economy are more pressing issues. Earlier in the year, the Minister of Information and Culture, Mr Lai Mohammed, had said restructuring was not a priority for the government. In his New Year Broadcast, the President called for “a long period of trial” for systems before they are changed. “We tried the Parliamentary system: we jettisoned it. Now there are shrill cries for a return to the Parliamentary structure. In older democracies, these systems took centuries to evolve so we cannot expect a copied system to fit neatly our purposes. We must give a long period of trial and improvement before the system we have adopted is anywhere near fit for purpose,” he said. With the 2019 election drawing closer by the day, the President called on politicians to avoid creating divisions and heating up the polity. He said, “As the electioneering season approaches politicians must avoid exploiting ethnicity and religion by linking ethnicity with religion and religion with politics. Such must be avoided at all costs if we are to live in harmony. “In this respect, the rest of Nigeria could learn from the South-Western States who have successfully internalised religion, ethnicity and politics. 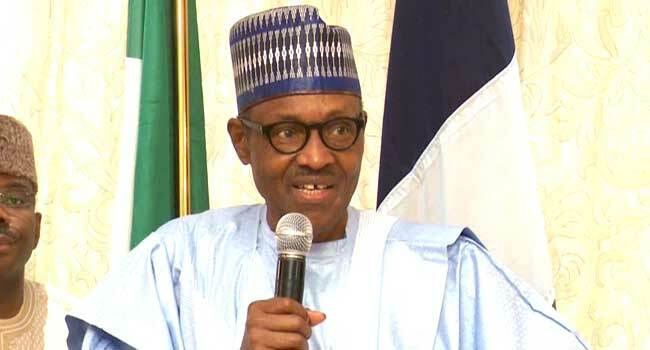 President Buhari who rode to power with promises to tackle insecurity, corruption and strengthen the economy assured Nigerians that the security of life and property was a top priority for his administration. “We have since beaten Boko Haram. Isolated attacks still occur, but even the best-policed countries cannot prevent determined criminals from committing terrible acts of terror as we have seen during the past years in Europe, Asia, Middle East, elsewhere in Africa and in America,” he said. The President explained that the country’s security agencies are also taking immediate short-term measures to combat urban crimes, including the rampant cases of kidnapping. “Tighter police methods and swift and severe punishment for those proved to be engaged in kidnapping are on the way,” he said. According to him, with respect to the Niger Delta, Government is still engaging responsible leadership of the communities to help in identifying and addressing genuine grievances of the region. He added that the Federal Government’s clean-up programme in collaboration with the United Nations is making satisfactory progress and thanked all the governors, political and community leaders of the Niger Delta States for their part in bringing relative peace to the areas. President Buhari also thanked Nigerians for their prayers for him while he was ill in 2017. “I feel deeply humbled by your prayers and good wishes and I am more determined than ever to serve you to the best of my ability,” he said.